On February 2019, the company has officially become the BICSI Continuing Education Credit Provider. Now we are starting to use all the advantages from this cooperation and provide new opportunities to gain knowledge to our colleagues and partners. 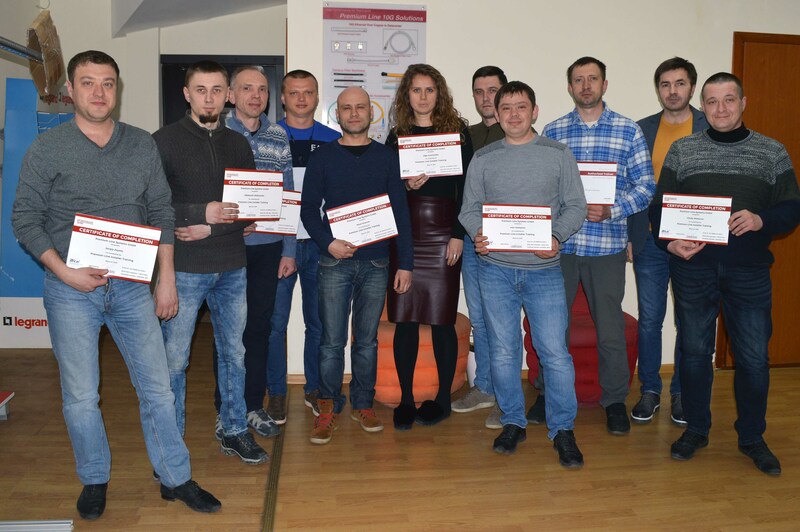 On March 21, the Technical Director Vladyslav Ritskyi held the Premium-Line Installer Training in Kiev, organized jointly with the IQ trading company. 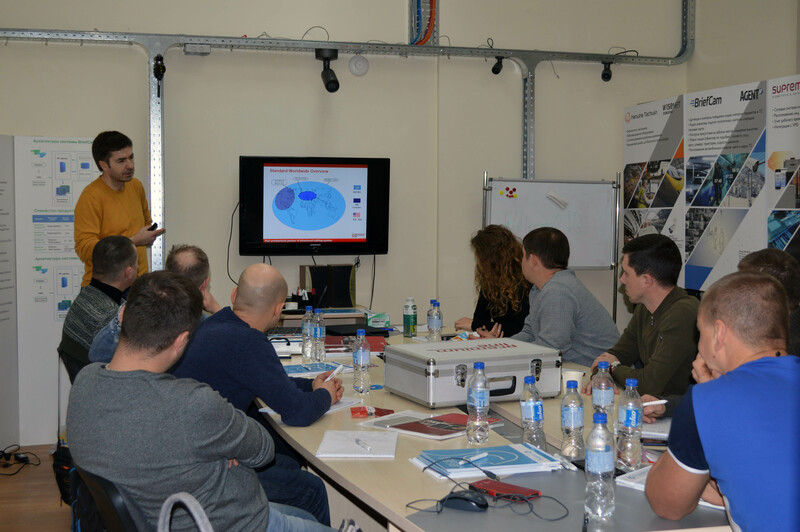 The training program is designed that participants organize theoretical knowledge, the SCS basics, as well as consider the maximum number of practical examples, new products and market trends, features of product implementation depending on the conditions and type of project. All participants received certificates and awards – BICSI Continuing Education Credits. 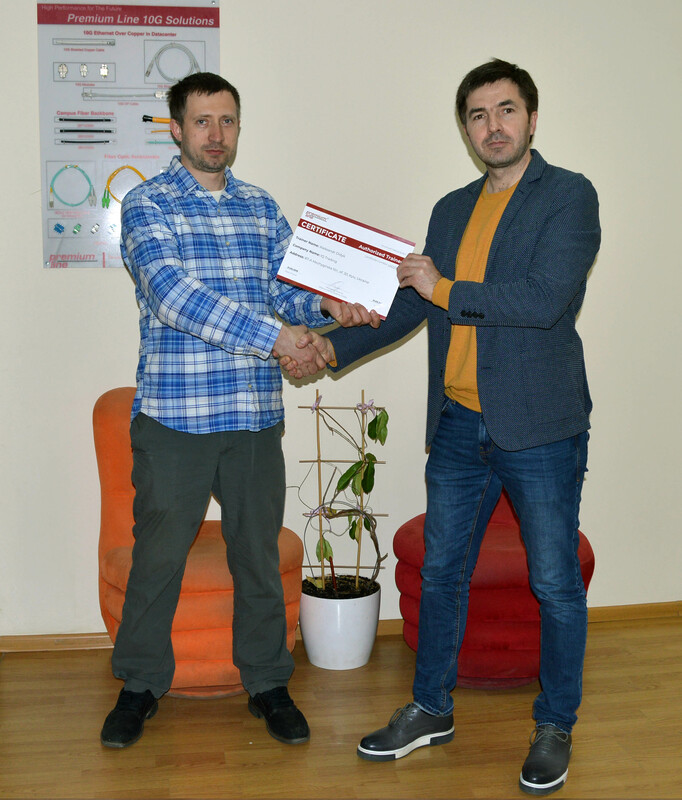 The education program was several days and Aleksandr Didyk, sales manager of IQ Trading got the Authorized Training Certificate. The trainer certification program is aimed at expanding opportunities to obtain information about Premium-Line solutions. SCS equipment can work properly and become a reliable foundation for network constructions only if the solutions are correctly implemented, so the service is very important. Our market activity is not only to deliver quality solutions, but also to spread knowledge and successful experience. That is why our company has joined the BICSI community and plans to continue active cooperation in this direction. The Premium-Line team thanks the IQ trading company for its cooperation and support of the training organization. Follow the announcements of our trainings. Detailed information can be found here.